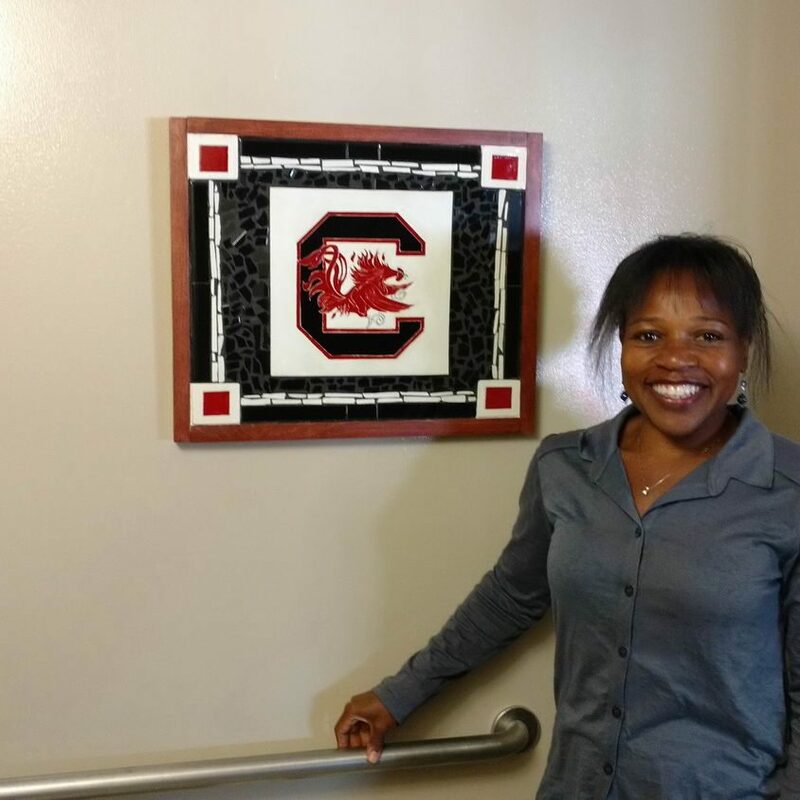 The University of South Carolina recently commissioned SJ Studios, LLC to provide artwork for William Brice-Stadium Entertainment Suite 13, which is used by the President of the university for hosting dignitaries…the artwork has been very well received. Sharon’s art contributes to that final layer of design that brings personality into a space. She is very talented and a pleasure to know. Sharon created a one-of-a-kind masterpiece tile arrangement for the remodeling of my kitchen and each person who sees it raves about its uniqueness and quality. Sharon provides an utterly unique product. I loved the originality to the point of providing her work as a surprise gift for my wife in addition to using her work in my construction business. I got your delivery of the the tiles, and quite frankly, I didn’t open them for about a week and a half. I was afraid that they would not quite match. When I did open them and laid them down on the floor, I was amazed!! I couldn’t see them. I had to put ‘Post-its’ on them to make sure I didn’t walk on them and crack them.